Borderlands publisher 2K Games has officially announced that on March 24th, Borderlands will be coming to PlayStation 4 and Xbox One in the form of Borderlands: The Handsome Collection. 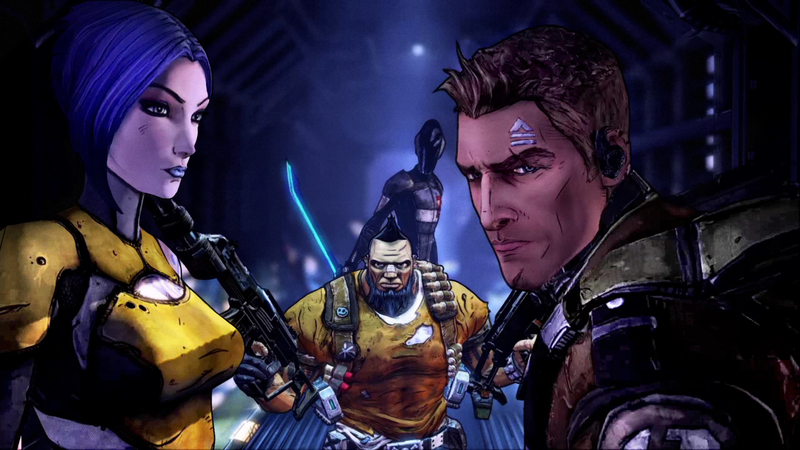 The $59.99 package will include Borderlands 2, Borderlands: The Pre-Sequel and all downloadable content from those games when it arrives in March. Returning players will be able to transfer their saves from 360/PS3, as long as you played the game on the respective console. So if you have a PS3 save, you can transfer to PS4 but not Xbox One and the same applies for Xbox 360. The collection will also feature a new 4-player split screen local multiplayer option. If you're big into Borderlands, 2K will also be making 5,000 copies of Borderlands: The Handsome Collection as a limited edition package for $399. This edition will include a remote-controlled, Claptrap with speaking capability and 12 lithographs. Although it will be awesome to check out these games again, I do hope that down the line Borderlands 3 will be announced!